It's easy to get caught up in the wonder of new technology at GDC. Ray-tracing and photorealistic humans. Space battles with 10,000 individual ships. The lofty promises of Google Stadia's 10.7 teraflops. The industry has historically always pushed technological advances as key selling points, particularly when it comes to new console generations. But a member of Avalanche Studios believes that's likely to change. With a new round of consoles almost certainly on the horizon, the hope is that creativity and new mechanics will be as much a wow factor as another visual leap forward. "In the same way that graphics are getting better resolutions, telling the difference between 3,000 objects flying around and 4,000 objects... well, theoretically you get to the point where that's also not the limiting factor," Hamish Young, the Just Cause studio's senior technical designer, tells GamesIndustry.biz. "I think the industry's going to calm down on the technology curve and it's going to be about your creativity and your inventiveness and your point of view, quite frankly, in terms of the kinds of games you might see in ten to twenty years' time. Because the industry is maturing when it comes to technology." He stresses that this isn't a new prediction, or even an unprecedented shift. Young points to the movie industry where, while there are technological improvements over time, the process of making a movie has remained much the same for decades: capture footage with a camera and edit into a finished project. It's perhaps an oversimplification but it means the focus is not on how the movie is made but what the movie is about -- and Young expects the same to be true for games. 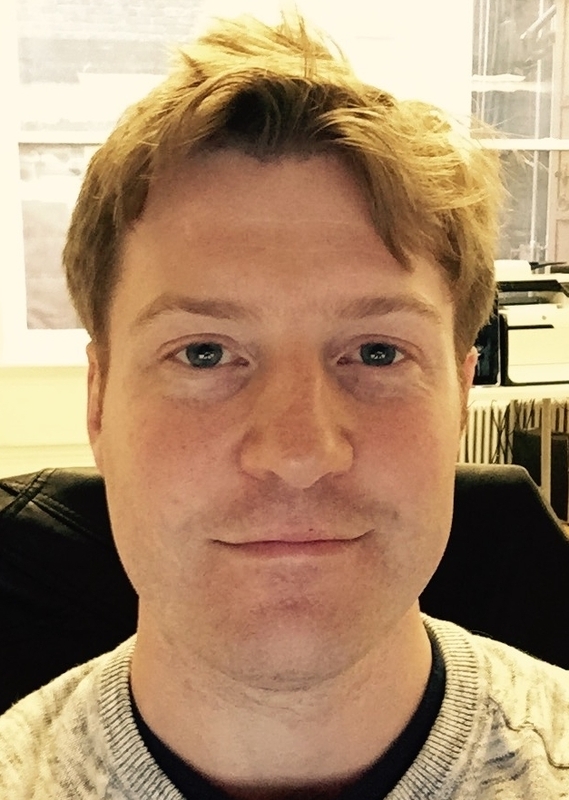 "With the indies coming up, it's more important what the game is about not what whizzy things are happening," he says. "I think we are going to get to a point of saturation, maybe not next year or the year after but it will happen, where it will be about how interesting a game mechanic is, not how many polys you can put on the screen or how many objects you can throw around. "We are going to get to a point where it will be about how interesting a game mechanic is, not how many polys you can put on the screen or how many objects you can throw around"
"We're not quite there yet, there's more juice to squeeze out of the orange. But at some point that's going to happen." High-quality graphics will, of course, remain a selling point with Young acknowledging that, "we've got to this point where if the graphics aren't photoreal in AAA, everyone's like, 'oh my god, the graphics are terrible'." But there needs to be some substance behind the style to impress players and take the medium forward. For Avalanche, this means building on the work it has done with its open-world games like the Just Cause series and Mad Max. A demonstration of Just Cause 4 we attended at E3 last year focused on highlighting all the different physics at play between the tethers, new gadgets and colossal tornados. 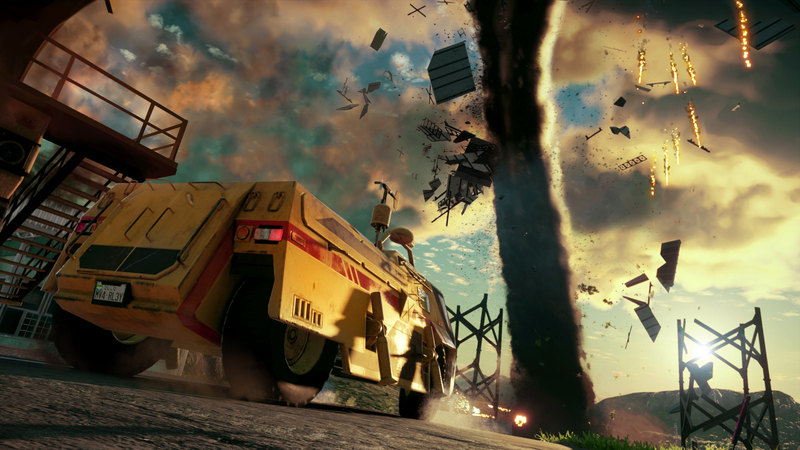 One unscripted moment saw a developer fire a rocket launcher at a tornado just to see what happened. The rocket swung around cyclone until it struck a plane caught in the wind, which then exploded. It's this that highlights Avalanche's own ethos in showcasing creativity -- not only that of its development team, but also of its players. The key is building systems that work together as organically as possible. Young offers the example of aircraft in Just Cause, which all have roughly the right size, weight and aerodynamics compared to their real world counterparts. "We try to build stuff that's modular in a way that things can kind've naturally go together," he says. "We're not doing it for Forza-style accuracy, but it means that things can work together in a more natural way, so you intuition about what you might be able to do is more fulfilled because things behave roughly how you would expect them to." For example, attaching a car to the underside of a helicopter and using it as a wrecking ball. Another example he offers is the sea vehicles. The landing transport boat is 150 metres long and has the same buoyancy model as a jet ski. If you place a tank on it, it will support that weight but the jet ski (obviously) won't. "We're not trying to fake everything," says Young. "Likewise, things like the tornado, the windfield around that affects the aerodynamics of things which is why they're spinning around the tornado. "We're not necessarily going for realism, but we are going for intuitiveness"
"It means that when you combine things, when you grapple something to something else, it's built in a way that means those things can fit together and work okay because they work the way you expect them to. We're not necessarily going for realism, but we are going for intuitiveness." Avalanche is by no means alone in building games around multiple systems and mechanics that interact with each other. But Young stresses that these systems need a purpose, and ideally one that serves the players in a way that encourages more creativity. "When you think about adding tools to your toolbox, you do have to think about how you bring something new that opens up opportunities for the player," he says. "On Just Cause 3 when we had multiple tethers, that meant you could do things you couldn't do before. Now on Just Cause 4 we have the air lifter, the boosters and all those things, and that means you can push and lift and pull things now. "We try and add those actions in to give you a bigger set of things to do -- but we have to do it carefully and in a way that means the player can still build a mental model of what they could do. Otherwise you just get paralysis of choice. There's definitely a balance to strike." There's also a balance in letting players know that things are possible -- or, rather, enabling them to find out -- without signposting it too obviously. Avalanche tries to avoid predicting player behaviour where it can, but will try to imagine use cases for each of its mechanics. In this way, it avoids dictating how they should be used or how the developers want people to play. Naturally, the more systems are at play, especially in an open-world, the more potential problems there can be. With so many objects, characters, vehicles and environmental aspects reacting to each other -- plus an unpredictable players mixing things up at the heart of the action -- it's tough to maintain a smooth experience. "You try to build your building blocks as solid as possible," Young says. "Your foundation has to be solid -- there are always going to be cracks. "The difference between us and a lot of teams is they will go, 'oh, we're not going to do that because there's too many edge cases' and they avoid doing some of the bigger, chunkier stuff. We prefer to go bold on those sort of things, and if there is the odd edge case, as long as it's funny, as long as it still entertains the player and isn't quite what they expected, then that's okay. We want to entertain as much as possible and we want to do the bigger things, not try to close everything off because it might go wrong." He concludes: "You might not be able to predict that someone is going to build a Jenga stack of containers or whatever, but you try to build those things in a way that at least gives you the possibility that they could without breaking anything." I hope you're right, it's what I got into the game industry for as an AI programmer, but twenty years ago all the push was for graphics and in some places I felt like gameplay was something of an afterthought. I also love the idea and opportunity to think out of the box in the game. Before I did computer games, a very long time ago, I used to do paper and dice games and the fun for me was always solving the problems. Some computer games of the past seem to be so tightly scripted to follow a controlled path that sometimes I felt a little detached from the game, almost like the drive for immersion had resulted in the opposite. Anyway, good luck with your endeavours and I'm looking forward to seeing where it goes.